I often go to Tambrauw regency in West Papua province of Indonesia. I go there to guide tourists on a snorkeling and birding tour in its coastal and lower montane forest areas. 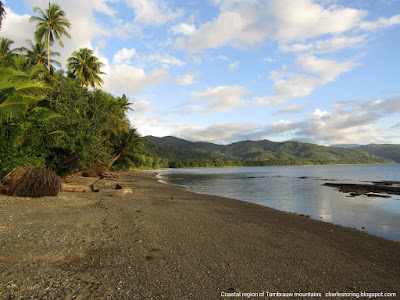 Tambrauw is located between Manokwari and Sorong. Its capital is Fef. The duration of the tour is usually 3 to 4 days. 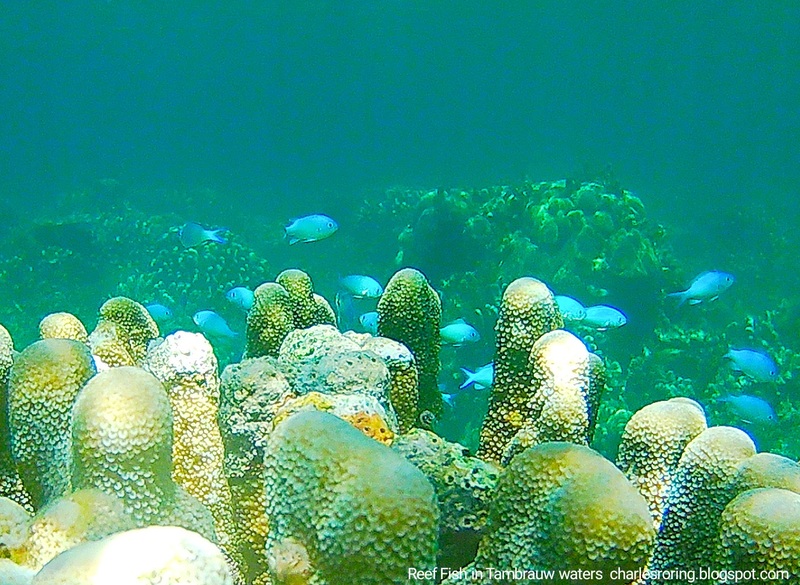 I always ask my visitors to bring snorkeling mask, snorkel and fins if they want to enjoy snorkeling in the area. 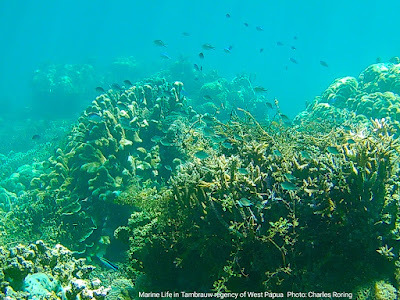 A good underwater camera is also needed for taking pictures and marine life in the coral reef of Tambrauw. There are a lot of snorkeling spots in the area which tourist could choose to explore. The coral reef is located at depths of 1 to 10 meters. My last snorkeling trip to Tambrauw was in July. At that time I was guiding a Dutch lady. We enjoyed snorkeling for a few hours. We saw a lot of fish including butterflyfish, spadefish, surgeonfish, rabbitfish, anemonefish, snapper, anthias, grouper, parrotfish, sweeper, triggerfish. There also sea cucumber, blue sea star, and a baby giant clamp. It was a wonderful experience. I will go there again at the end of this month to explore both its coral reef and rainforest. In addition to snorkeling, we also did some tours in the jungle to watch birds and other wild animals. We explored the forest for 3 days to find Lesser Birds of Paradise, King Bird of Paradise, Palm Cockatoo, and Yellow-billed Kingfisher. Birding in Tambrauw forest was easy. We saw Nankeen Kestrel, Mimic Meliphaga, Sulphur-crested Cockatoo, Moluccan King Parrot, Olive-crowned Sunbird, Double-eyed Fig Parrot. I brought 2 pairs of 10×42mm binoculars. First, you need to fly from your country to Jakarta, the capital of Indonesia. After that you can continue your trip to Sorong city. Airlines such as Batik Air, Garuda, Sriwijaya Air, or Nam Air. I could meet you at the airport or at the hotel where you stay in Sorong city and then organize your trip to Tambrauw. If you are interested in visiting Tambrauw regency for snorkeling or birding and wildlife watching, please, contact me by email to: peace4wp@gmail.com or by whatsapp to: +6281332245180. I went to Tambrauw regency with a Dutch lady last month. We stayed in a small coastal town to enjoy swimming, snorkeling and freediving. Because I like taking picture underwater, I brought a small action camera - Brica Pro5 Alpha Edition. It was not a professional photographic device but it was good enough to show how beautiful the coral reef was. I wore a set of fins, and snorkeling mask to go to deeper water and descend to a depth of around 3 to 7 meters below the surface of the sea. The sea was quite calm and the visibility was around 10 meters. 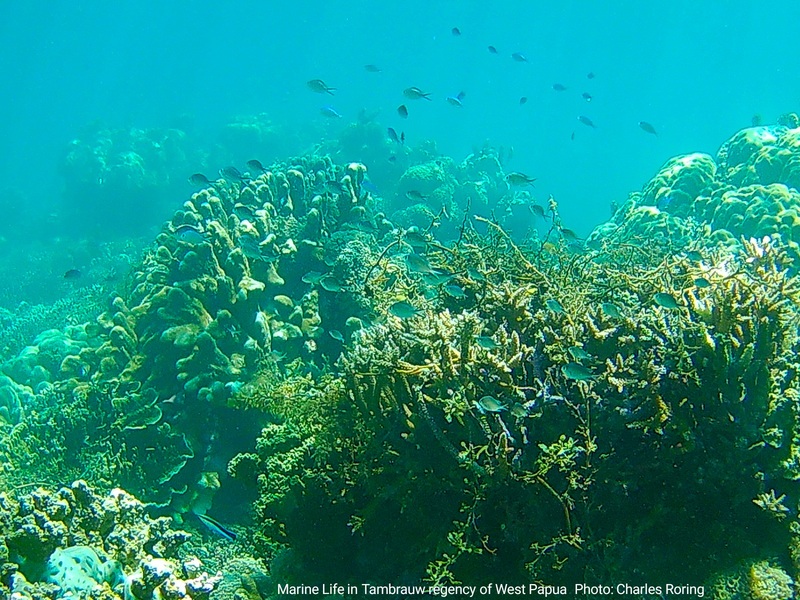 With this small camera in hand, I shot a lot of pictures of the underwater world of Tambrauw. 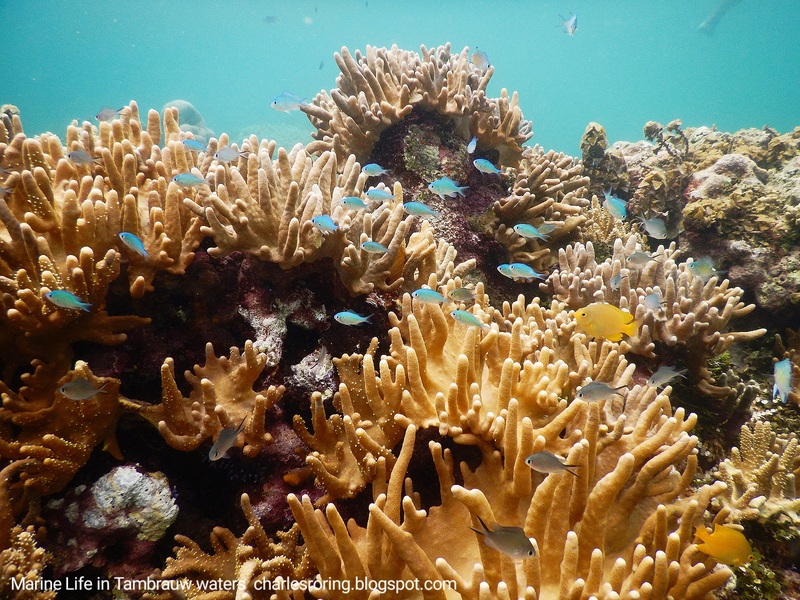 There were blue sea-star, sea cucumber, baby giant clam, anemone, and hundreds of species of fish. I saw a giant humphead wrasse too. I tried to chase him but he swam into deeper water. So, I missed the chance to shoot him. 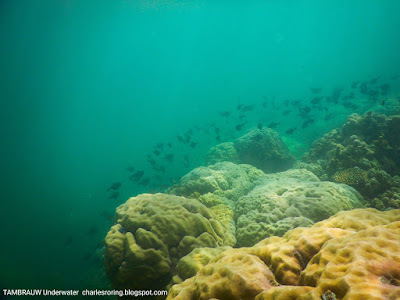 Although this tiny camera could not produce professional pictures, I did my best to get very good underwater images of Tambrauw's coral reef. It gave me more freedom of movement in the water. 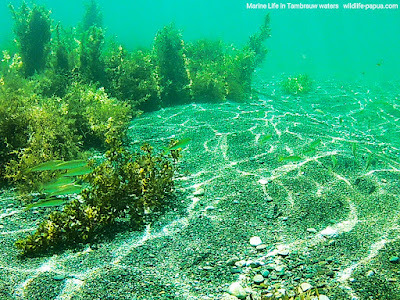 The coastal region of Tambrauw has got huge area of seaweed beds. They become the natural habital of fish, urchin, sea cucumber. Dugong and sea turtles frequently visit them. Before pressing the shutter button, I did my best to keep calm and still underwater. I did not wear a weight belt. To keep my body in the water, I often had to hold hard corals with one hand and took pictures of the marine life with the other hand. The coastal area of Tambrauw was very beautiful. For years, marine scientists have been visiting Tambrauw coast to study turtles. Jen Womom beach that is located in remote area of the regency is a popular site for watching Leatherback turtles, green turtles, olive ridley and some hawksbill turtles that land on the beach to lay eggs. Tambrauw is a regency that is located in the middle of Sorong and Manokwari. I often visit it to guide tourists. Most of our activities are related to rainforest. We go hiking, camping and birdwatching in the mountains for approximately 4 days to find various tropical birds and other wild animals. We also go to the beach at the end of our tour to enjoy beach walk, swimming and snorkeling, freediving and sunset watching. For visitors who want to go to Tambrauw for birding, wildlife watching and snorkeling, I suggest that they spend at least 4 to 5 days traveling in this regency. Four days could be spent in the forest and one day could be used to enjoy snorkeling at its beach. Most photographers use D-SLR camera with telephoto lens. I recommend Sigma or Tamron 150-600 mm. A cheaper alternatives for birders that I recommend are compact bridge camera Nikon Coolpix P900 and P1000. To take photographs of the marine life, I recommend a Sealife DC 2000 or Canon G7X with waterproof housing. If you are interested in visiting Tambrauw, and want me to be your guide in organizing your trip, please, contact me (Charles Roring) by email to: peace4wp@gmail.com or by whatsapp to: +6281332245180. Wij zijn in de zomer van 2018 met Charles één nacht de jungle-bergen bij Manokwari ingeweest. Het was al met al een geweldige ervaring die ik iedere natuurliefhebber zou aanraden. Eind van de middag vertrokken we vanuit Manokwari. Charles, die vloeiend is in Engels en Indonesisch, nam ons mee naar een markt om inkopen te doen voor de tocht. Vervolgens rij je met de auto een uurtje langs de kust, en word je in de middle of nowhere gedropt. Verwacht geen onderhouden pad, borden of andere toeristen. Vanaf de weg op een klif aan zee klim je in een uur steil omhoog de jungle in, wat veelvoudig met handen en voeten moet. Een beetje (in)spannend is het wel, maar de locals die meegaan doen het moeiteloos op blote voeten. Toen we boven aankwamen was het al donker en wachtte ons een paar tenten op houten platforms, midden in de jungle. Geen douche, wc, bedden. Wel een kabbelend beekje, enkele vogelspinnen en een onvoorstelbaar mooi geluid van honderden diersoorten die zich laten horen. Samen met de locals maakt Charles een heerlijk maaltje boven een kampvuur, waarna een nachtwandeling kan beginnen. Na drie keer 20 minuten met ingehouden adem in het donker te zitten wachten hadden we eindelijk succes: één van de Papoea-gidsen had met zijn lokroep een Koeskoes Oppossum (Australisch buideldier) tot vlakbij ons weten te lokken. Verder zagen we hagedissen, mooie vogels, kikkers en vele andere dieren. Verwacht heel vies te worden en door vele spinnenwebben te lopen. Hoort bij de experience natuurlijk! 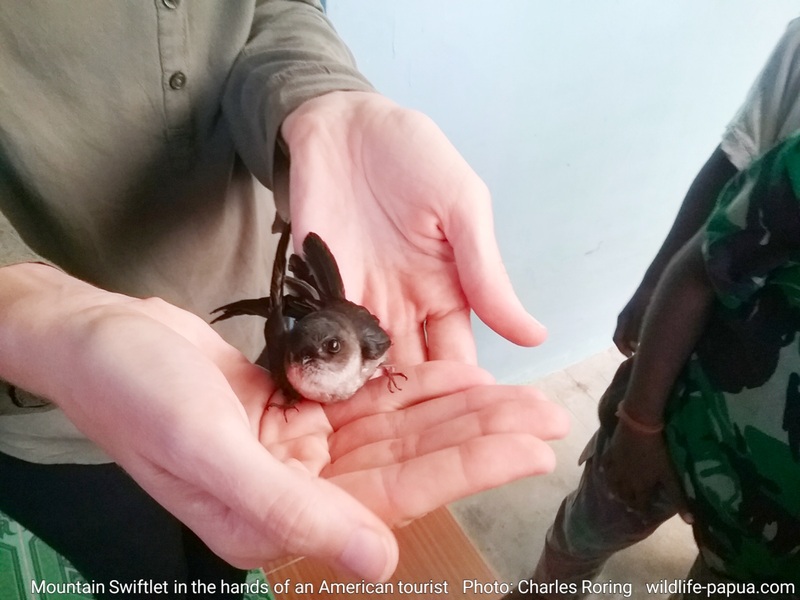 's Ochtends vroeg erop uit om de birds of paradise te zien, geweldig! De gidsen weten precies hoe je ze het best kunt zien en hebben arendsogen tijdens het spotten. Na een stevige lunch hebben we het kamp afgebouwd en zijn we weer naar beneden geklauterd. Prachtig om de zonnestralen door de jungle te zien, de trip heeft ons vele mooie foto's opgeleverd en onvergetelijke herinneringen. Een must voor iedereen die niet bang is om back to basic te gaan en Charles is één van de beste vrienden geworden die ik in West-Papoea heb gemaakt. I have just completed a-3 day hiking and birding tour in Aibogiar village of Tambrauw mountains. 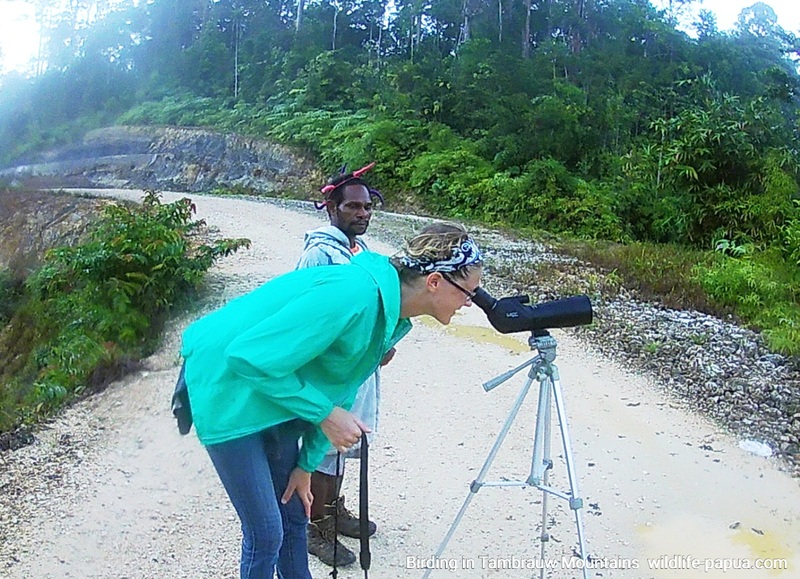 I went there with Ashley, an American travel writer who wanted to see the rainforest, and wildlife of West Papua. When we went birding in the region, we saw several species of birds including Mountain Swiftlet, New Guinea Vulturine Parrot, Pinon Imperial Pigeon, Pink-spotted Fruit Dove, Magnificent Birds of Paradise, Sulphur Crested Cockatoo, a green pigeon which I could not identify (because it does not exist in field guidebook Birds of New Guinea), Helmetted Friarbird, Blyth's hornbill, Palm Cockatoo, Papuan Cicadabird, Variable Goshawk, Lesser Birds of Paradise, Mountain Peltop, Mountain Swiftlet. Because I am a birder, I could hear and identify the sounds of birds that I heard during the trip. 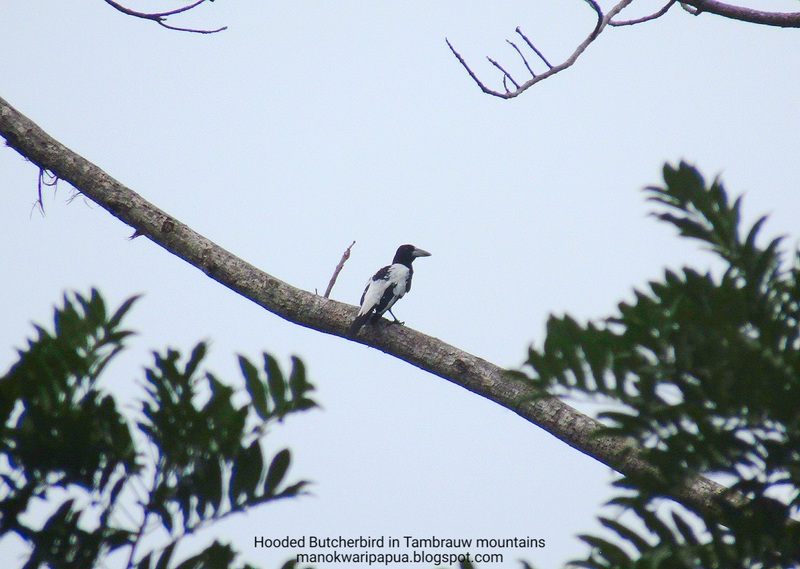 Some of them were Yellow-billed Kingfisher, Magnificent Riflebird, Rufous-bellied Kookaburra. In addition to birds, we also saw butterflies, dragonflies, and heard the sounds of a lot of frogs. 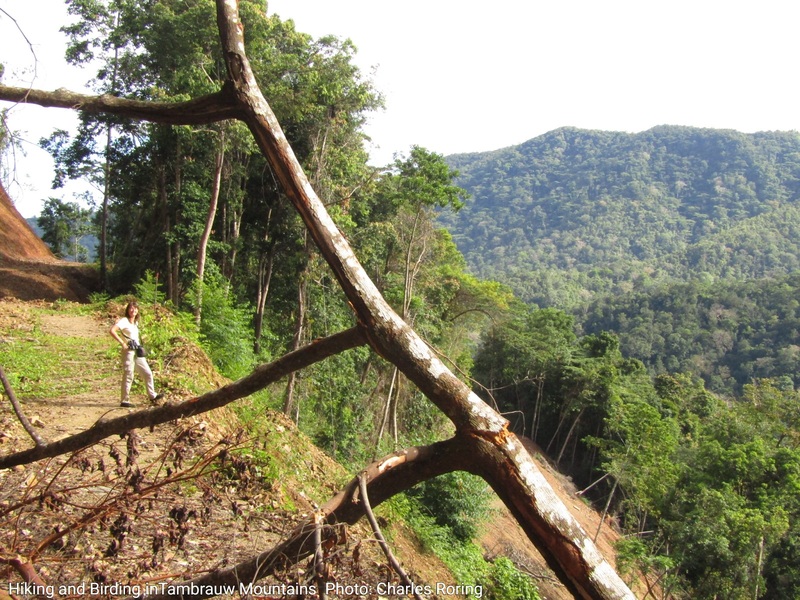 Aibogiar village was located in a very remote area of Tambrauw mountains. To reach that village, we needed to fly by a small plane from Manokwari to Kebar and then continued our trip by a 4wd car to high elevation mountainous area. We bought biscuits, coffee, tea, sugar as contact materials with the villagers. For our food, villagers provided vegetables, cassava, peanuts, and sweet potatoes. When we were there, we saw that the birding and wildlife tourism innitiatives were in their very beginning stage of development. Villagers were doing their best to serve tourists. They had built a guesthouse. It was quite a luxurious building if I compare it to guesthouses in Arfak mountains and homestays that are operated by villagers in Raja Ampat. Unfortunately, there were only a few pandanus mats that were on the floor. We used them for sleeping. Birding in this forest was easy because visitors could walk along the road to watch birds especially in the mornings. For watching more wild animals, we need to walk deeper into the jungle for approximately 3 hours to a river area. 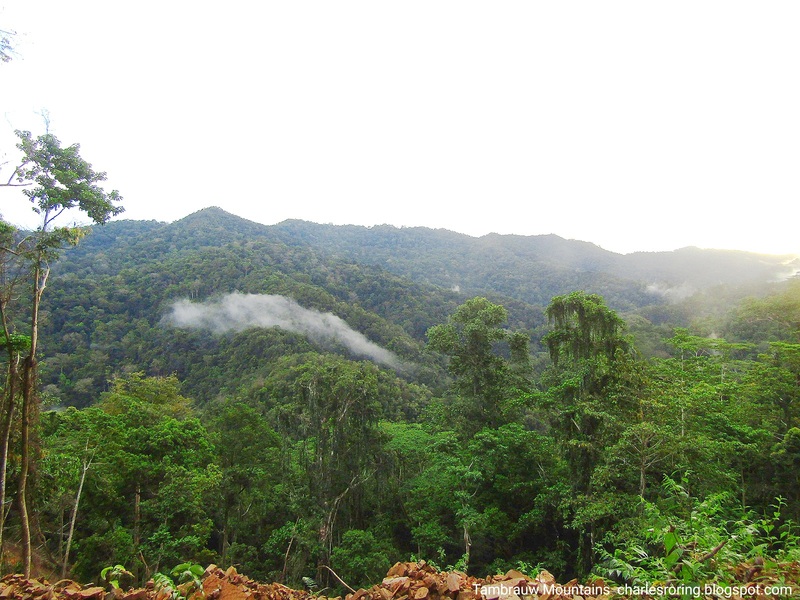 There, deers, wild pigs, wallaby, tree kangaroo, and birds of paradise could be found living in more pristine forest. There is a salt pond which these animals like to visit to drink its water. 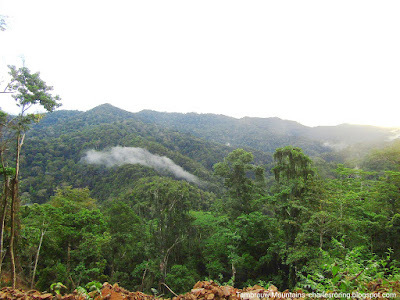 It is a very nice spot for watching wild animals that live in the rainforest of West Papua. If you are interested in traveling to Aibogiar village of Tambrauw mountains to watch birds and see the landscape of the forest, please, contact me by e-mail to: peace4wp@gmail.com or send whatsapp message to my number: +6281332245180. Tambrauw mountains always attract my attentions. I have visited them since eight years ago to watch birds and other wild animals. A few weeks ago, I went there with a Dutch lady to watch various species of tropical birds. Our birding gear was quite simple, 10x42 binoculars, a 20-60×60 spotting scope, a point and shoot camera Canon SX 430 IS, field guide book: Birds of New Guinea. To support our stay in the forest, we brought food, cooking and eating utensils, mattrasses and pillows, and torches. 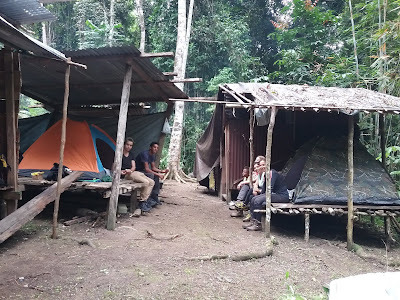 We went to the mountains by a 4WD car and stayed in the jungle for several days. During our stay and exploration of the forest, we watched Palm Cockatoo, Blyth's hornbill, Moluccan King Parrot, Large Fig Parrot, Double-eyed Fig Parrot, Sulphur-crested Cockatoo, Rusty Pitohui, Eclectus Parrot, Yellow-faced Myna, Lesser Birds of Paradise, King Bird of Paradise, Rainbow Bee-Eater, Brahminy Kite, Nankeen Kestrel, Grey Headed Goshawk, Helmetted Friarbird, Wompoo Fruit Dove, Pinon Imperial Pigeon, and Intermediate Egret. In total, there were 55 species that we saw. If we stay longer, we could reach hundreds of species. In addition to birds, we also saw deer, snake, and a lot of butterflies. The rainforest of Tambrauw was a great place to see a lot of kinds of tropical vegetation from fern, pandanus and palm trees to giant ficus and iron-wood merbau trees. Terrestrial and arboreal orchids can be seen in this mountain range. 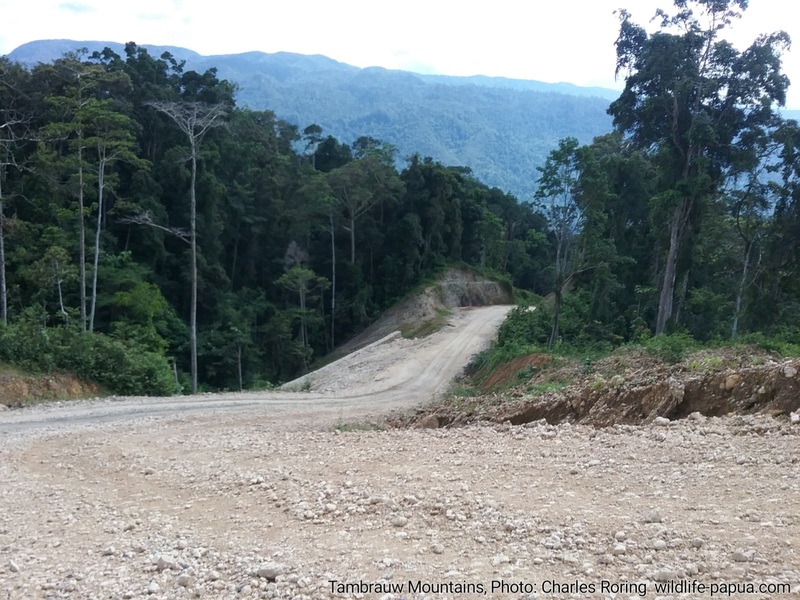 Tambrauw Mountains are located between Manokwari and Sorong and could be reached by car, by plane and by boat. The coastal region of Tambrauw has been famous as tourist destination for turtle watching. We visited one of its many beaches and enjoyed snorkeling for several hours. I brought my action camera Brica B-Pro5 at that time and was able to take pictures of the marine life. I saw damselfish, surgeonfish, butterflyfish, snappers, groupers, and anthias. I even saw a huge Humphead Wrasse at a depth of approximately 5 metes below. I tried to take pictures of the fish but it went into deeper waters. I like traveling in Tambrauw because I could enjoy hiking and birding in its forest as well as snorkeling and freediving in its coral reef areas. Visitors need at least 5 to 7 days if they want to explore both the jungle and the sea of Tambrauw. I highly suggest that visitors go in a group of 4 according to the inside cabin capacity of the 4WD car. As a tourist guide, I offer wildlife watching adventure tour to this region for anybody who is interested in exploring tropical rainforest and coral reef of Tambrauw regency. 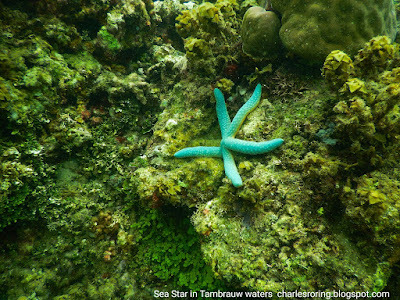 Tambrauw is a highly recommended site for tourists who like hiking, birding, wildlife watching, swimming, snorkeling, freediving and fishing. I can meet you at the airport or at a hotel in Sorong and organize your trip to Tambrauw. For more info about Traveling in Tambrauw, please, contact me by email to: peace4wp@gmail.com or by whatsapp to: +6281332245180.